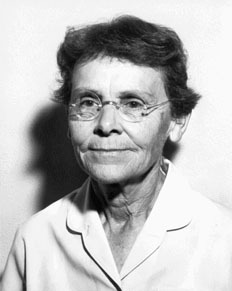 American cytogeneticist Barbara McClintock observed differing coloration patterns in kernels of corn over generations of controlled studies, and proposed in a series of papers culminating in 1930 that genes can travel on and between chromosomes. Her theory of genetic transposition, commonly called "jumping genes", explained that chromosomes can break and recombine themselves, a process of genetic transformation known as crossing over. She also discovered "linkage groups" in the genes of Drosophila (fruit flies) in 1931. Remarkably, much of her work was accomplished before the principles of DNA (deoxyribonucleic acid) were understood. James Watson, co-discoverer of DNA, said that McClintock was "one of the three most important figures in the history of genetics", the other two being Gregor Mendel and Thomas H. Morgan. Named Eleanor at birth, her parents decided that Barbara better fit her personality and legally changed her name when she was about four months of age. Her interest in attending college was discouraged by her mother, who feared that she would be rendered "unmarriageable" by an education, and she did not apply for admission to Cornell until almost a year after her high school graduation. Her mother was right — McClintock occasionally dated in her first years at college, but then seemed to consciously discard a social life, and never married. In 1983, however, she became the first woman to win an un-shared Nobel Prize in Medicine. McClintock conducted much of her scientific work alone, putting in decades of long hours in solitude at Cold Spring Harbor Laboratory. She eschewed most scientific gatherings and had few extended conversations or collaborations with other scientists, a voluntary isolation which no doubt slowed the acceptance of her work. Her gender, of course, suggested to many scientists that her work was of little consequence, and her chosen area of expertise, maize (corn), was a further hindrance, as it was of little interest to scientists of her time. She also showed no hurry to publish her findings in scientific journals, and unveiled many years of her work in a single symposium at Cold Spring Harbor in 1951. Even then, her work was generally dismissed until it was confirmed through use of improved molecular techniques in the 1970s. She died in 1992.